I have been cooking chicken wings for many, many years. When I first started fixing only the wings for dinner they were very cheap to purchase. I often wondered why more people did not fix them to feed their families sine they are so tasty and they were so cheap. I guess many people caught on to the idea because now they are so popular; and the price has really gone up since those days. 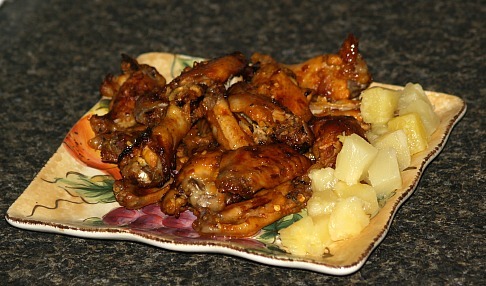 Cooking chicken wings became one of my favorite things to prepare for appetizers or as serving on a buffet. 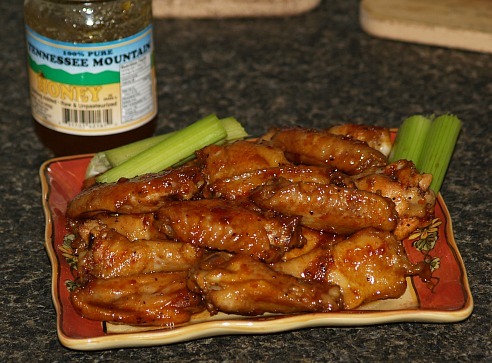 Although there is little meat on each wing, it is very moist and flavorful. The spices and recipes for sauces are endless which totally change the flavor of the wings. The wings can be fried, baked, broiled or grilled depending on what you prefer. Very few people get tired of eating them. When I am cooking for a crowd and I am cooking chicken wings in some form. I find my guests would be disappointed if I did not offer at least one recipe of them. I learned how to buy these so I could get a better price. I usually buy one or two 5 pound bags from one of the wholesale clubs. I usually thaw the wings divide it into 3 parts. One third of the bag I will fry as I normally fry chicken. One third I will make Oriental wings and the other third I will make hot wings. These are very flavorful and the crowd always seems to enjoy them as I do. If I am having a larger crowd, I will fix two or three bags of the wings. 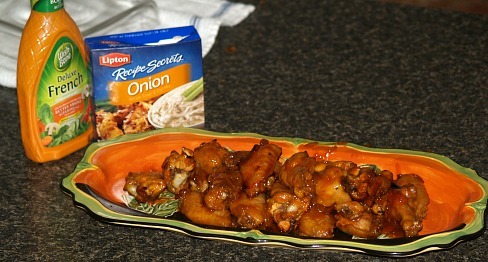 Place the thawed chicken wings in a large bowl and pour marinade over them. Cover and place in refrigerator overnight. Remove the wings from the liquid and place on a large greased cookie sheet. Bake in oven for 45 minutes or until done. 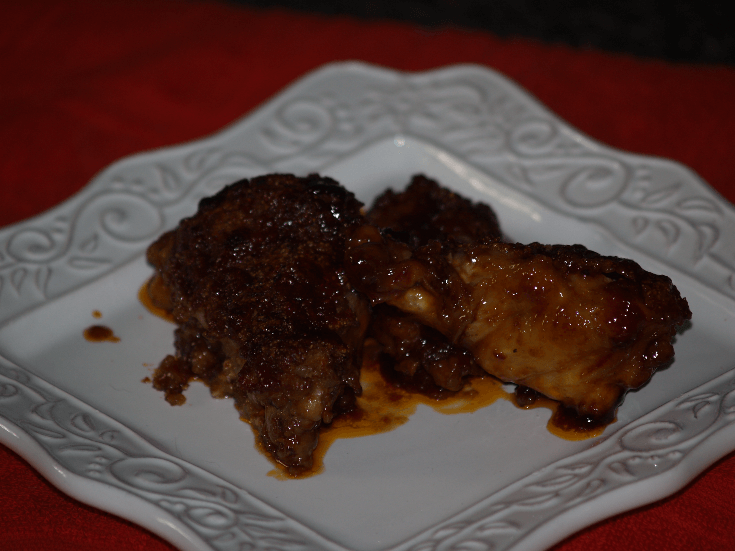 When cooking chicken wings, my favorite recipe is for hot wings and they are so easy to make. Rinse the wings with clean water and drain. Lay wings on paper towels to absorb any excess water. Heat vegetable oil in a large heavy kettle. Carefully place the wings in the hot oil and fry until done and light brown. Remove from oil and drain on paper towels. Place wings in a flat roaster pan or other flat oven proof dish. 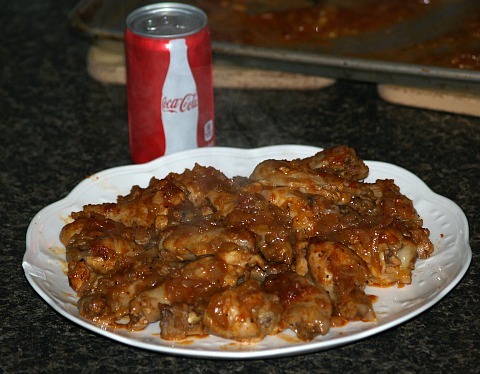 To save calories (as if it matters with the sauce) I often bake the wings in the oven instead of frying. Mix the following ingredients together in a heavy saucepan and heat. Pour over the wings and let set. In a warm place for 15 minutes for wings to take on the good flavor. Rinse chicken and place in a large glass bowl. Combine vinegar, hot sauce, pineapple juice and orange juice; pour over wings. Let marinate for one to two hours. Combine crushed red pepper, brown sugar, cumin, minced onion and minced banana pepper. Remove chicken from marinade and coat each piece evenly with spice seasoning. Place on grill over medium high heat until done; or bake in oven at 350F degrees. 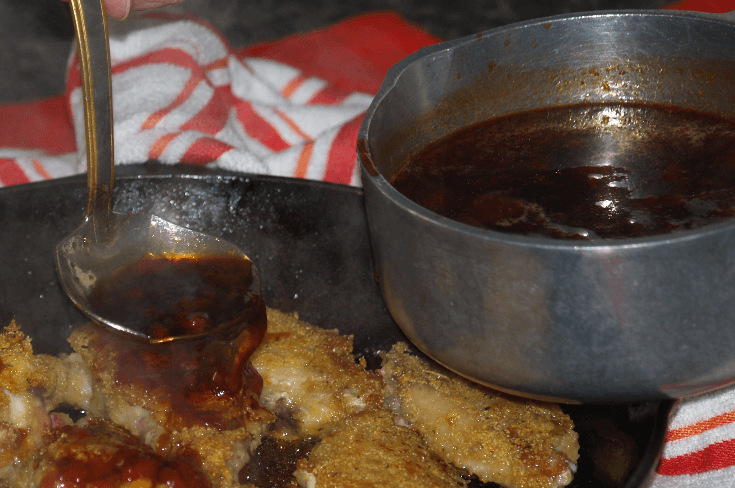 If you learn how to make barbeque sauce recipes, you will find many with such a different taste. Any of these can be poured over cooked chicken wings or can be used when cooking raw chicken wings adding a different flavor to them. The first one is made with Coca Cola which a great cooking ingredient for cooking chicken wings as well as many other recipes. Sprinkle chicken wings with salt and pepper and set aside. Melt butter in large skillet; saute onions, add catsup and Coke. Add the chicken wings; cover and cook on low heat about 1 hour. NOTE: At the end I brown them a little in the oven for presentation. Combine all ingredients except wings in saucepan. Bring mixture to a boil stirring until sugar is dissolved. Remove sauce from heat and set aside. Dip wings in seasoned flour; brown on both sides in hot bacon grease. 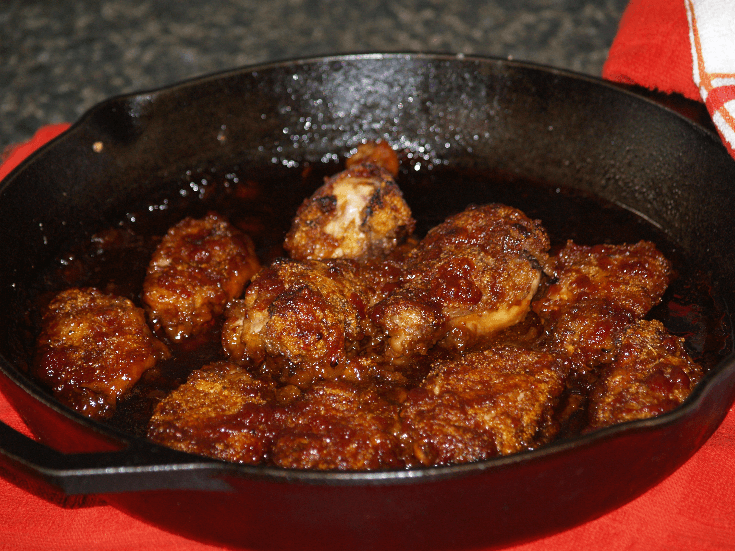 Layer wings in Dutch oven; pour sauce over wings. Bake at for about 45 minutes; wings should be tender but not over cooked. NOTE: I use my iron skillet to brown the wings and then I baked in it also. Place wings in 9 X 13 inch baking pan; sprinkle with salt/ pepper and paprika. Combine honey, soy sauce, brown sugar, garlic and catsup; pour over wings. Bake uncovered turning and basting every 15 minutes with sauce. Bake at 375F degrees for 1 hour.